When it comes to surveillance, there are no guarantees of success. But there are strategies that can dramatically increase your chances of getting the goods without getting burned. During a rewarding twenty-year career in the investigation and surveillance industry, I’ve developed a few cornerstones for success in the field … via the tried and true method of committing errors. I’ve made plenty of them, and I’ve found that there is no better teacher than stinging misadventures. In those early years, I found myself burned by eighty-year-old claimants, surrounded by a S.W.A.T. team, and being flipped off by an irate subject and her toddler children. Surveillance is simply Murphy’s Law on steroids. Hopefully, the steps to success I’ve illustrated in this article will keep the S.W.A.T. team away from your surveillance position and minimize Mr. Murphy’s cosmic influence on your investigation. 1. Choose your surveillance spot carefully. Choosing your surveillance location is never as simple as it sounds. Of course, you want an unobstructed view of the subject’s home, especially for insurance surveillance. But sometimes, that perfect watching spot, the one that offers a perfect view without attracting too much attention to your parked car, just doesn’t exist. A few tricks: See if there are any houses for sale nearby. Give preference to homes with lockboxes attached—they are usually vacant. Park in front of a home for sale, and you’ll have fewer nosy neighbors trying to look into your vehicle. It’s also helpful to park between two houses. The occupants of each will most likely assume you’re parked at their neighbor’s house. Neighborhoods have their own personalities. Try to figure out the neighborhood dynamics quickly. Keep in mind that what appears to be a perfect surveillance position at 6:30am may turn into a school bus stop at 7:30am. That’s why it pays to do your homework in the days before you begin surveillance. 2. Pick the right surveillance vehicle. Here’s a firm rule: You cannot rise to greatness in the surveillance industry without the proper surveillance vehicle. Your goal, after all, is to blend in, not stand out. I’ve known many skilled investigators who undermine their efforts by using the wrong vehicle on surveillance. Let’s be honest: Some of us hail from a law enforcement background (or have long dreamed of wearing a blue uniform). If that’s you, know this: Sitting in a Chevy Malibu, or worse, a Ford Taurus, bristling with antennas and with windows so darkly tinted that you could grow mushrooms inside, is simply counterproductive, bordering on silly. The best surveillance vehicles are not memorable and do not in any way call to mind a poorly-camouflaged, unmarked police car. If you are a true surveillance operative, you will willingly surrender the joy of owning a “cool car” for the joy of succeeding at surveillance. I’m sorry ladies and gents, but the bitter reality is: You should get a “mom van.” The fact is, a minivan is ubiquitous and immensely forgettable. A minivan with a comprehensive curtain system in the rear is one of the best surveillance vehicles there is, bar none, period, full stop. I have conducted and/or supervised more than 5,000 surveillance cases to date (many of them related to insurance fraud) and have found the minivan to be the stealth bomber of the industry. Choose dark colors, while avoiding red and white vans. Please remember to always shoot video from the protection of the tinted rear glass. I have watched investigators spend thirty thousand dollars on a van, then shoot video sitting in the front seat. Use the tinted windows you paid for! The next best option to the minivan is the SUV with rear tinted windows. I’ve used these as rentals on travel cases with good results. The downside is that you’ve got to climb over the console to get to the rear seats—no easy feat if you’re a large-sized person. 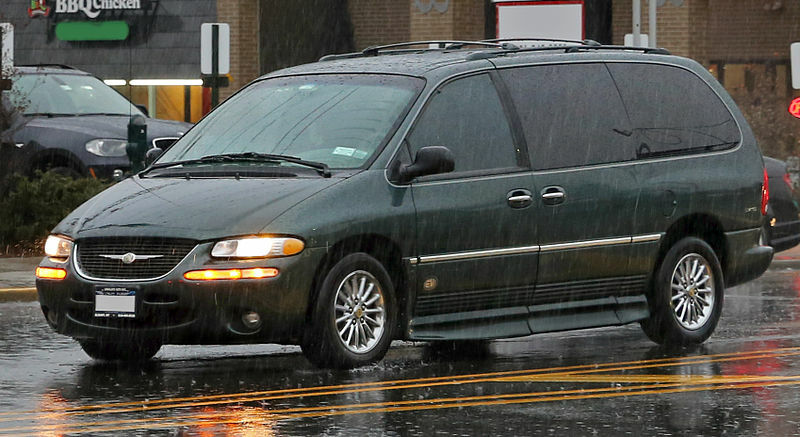 I have owned four Dodge Caravans—definitely not cool, but supremely effective. If you are a true surveillance operative, you will willingly surrender the joy of owning a “cool car” for the joy of succeeding at surveillance. Trying to photograph people from an un-tinted sedan makes you approximately as visible as a goldfish in a glass bowl. Get the correct vehicle and be a professional. 3. Study your subject thoroughly. Don’t rely on the client to volunteer the information you’ll need about your subject; interview them exhaustively. Ask your client/adjuster where the subject’s primary care physician is located, even if there are no scheduled appointments. Obtain a driver’s license photo and all prior surveillance reports, if possible. Conduct a national database search and note the addresses of nearby relatives. Hopefully, your database provider has current motor vehicle data for your subject. If no vehicles are found registered to your subject, run a separate search on the spouse. This may let you know which vehicle the subject uses. Having confirmed vehicle data is a huge edge in the surveillance game. 4. Pay attention to social media. At my investigations company, we find that a little digging into a subject’s social media accounts can turn up extremely valuable information. In one recent case, we were able to confirm the vehicle used by, but not registered to, the subject. The free search also revealed that the subject enjoyed competing in grueling Spartan races. We obtained photos of past races and information on an upcoming race where, you guessed it we had two investigators shooting video at various points during the event. These photographs decidedly contradicted the subject’s injury/disability claim. In other cases, we’ve also discovered an incarcerated subject (client stopped benefits), new addresses, and even a video posted to Facebook advertising a subject’s new bartending job. Social media can be a gold mine of information that will focus your surveillance efforts—get your mining helmet on! 5. Notify police where you’ll be working. After training field investigators, I let them decide whether to notify local police when they’re on a surveillance job. My staff usually chooses to check in with the authorities prior to surveillance. One exception: In very small towns, where everyone knows what the neighbors are up to, providing information to law enforcement can backfire. Checking in with the police in any location can be a double-edged sword. I’ve had cases where the police offered us crucial information about our subject. I’ve also had cases where the police told the subject and neighbors exactly what we were doing. Generally, I’ve found it more beneficial than not to check in. It can save you the trouble of unpleasant police encounters. If you do decide to notify police, please remember to never provide the subject’s identity or residence. We usually offer a vague location, such as the five hundred block of Main Street, etc. A time-saving tip when checking in with authorities: Have a photocopy of your ID with cell number and vehicle information ready for the dispatcher/desk officer. Trust me: You’ll be on your way much quicker if you don’t have to ask them to warm up the copier. If you follow these simple guidelines, I sincerely believe that your surveillance results will drastically improve. Happy hunting! Barry Maguire is a twenty-year veteran of the surveillance industry. He has conducted and /or supervised more than 5,000 surveillance private investigations cases to date. Barry has owned and operated New England Risk Management Investigations since 2001. He lives in the Metro Boston area with his wife and three children. Feel free to connect on LinkedIn. ← What is Covert and Overt Body Armor?